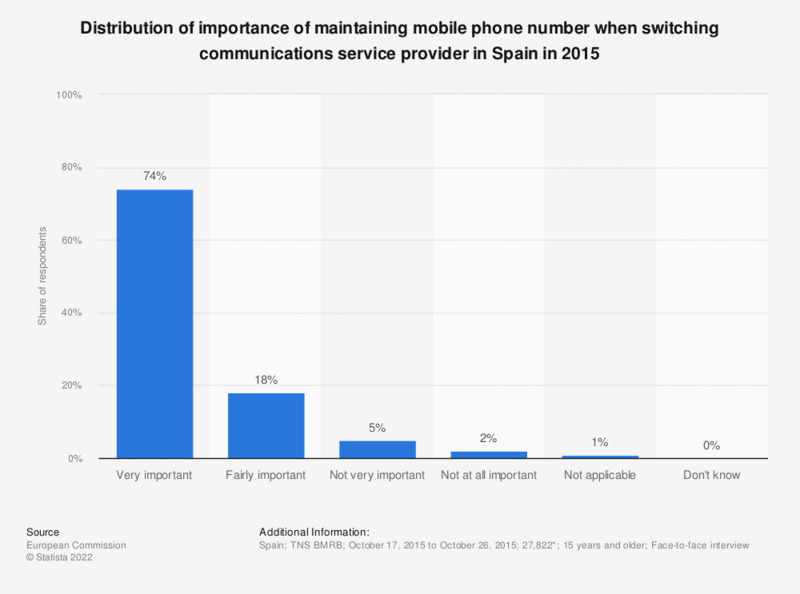 This statistic displays the stated importance of respondents maintaining their mobile phone numbers when switching communications service provider in Spain in 2015. A 74 percent share of respondents said that it is very important to them. The full question was phrased as follows: ''If you were to switch your communications service provider, how important would it be to keep each of the following? Your mobile telephone number"